Car Transport is a great way to move your car to a distant location. Although, arranging auto shipping can take some time. You should contact a car transport company a few weeks prior the desired date of a pick-up in order for them to set up the dates for you and assign a carrier. But what if you don’t have a few weeks? What if you need your vehicle to be shipped as soon as possible? Time is money in the modern world, and sometimes shipping your vehicle fast is crucial. But there is a great solution to your problem. You can book Expedited Car Shipping to transport your car in the fastest possible way. Denver Car Shipping knows the cost of time. That is why we provide premium quality Expedited Auto Transport services. If you need your car shipped fast, give us a call. We will find a reliable carrier in the area to pick up your car as quick as possible. It is the fastest way to ship your vehicle. Although we cannot make the carrier truck go faster – there are legal regulations. But if you need to save time on Denver Auto Transport, Expedited Car Shipping is the best way to do that. 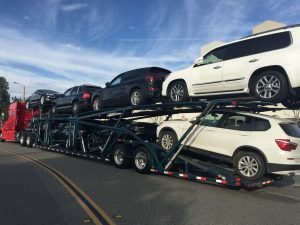 Express Car Transport is more expensive than regular Denver Auto Shipping. But our Denver Auto Transport company is known for affordable pricing. We will do our best to get you the best rate for your Expedited Car Shipping. To get a free Denver Car Transport from us, fill out a short form on our website. Or you can call our agents and get a quote over the phone. You can also count on our special discounts! Denver Car Shipping will be happy to ship your car for you!